My parents took me to the dermatologist where I was put on a steroid drug called Accutane. It was a miracle drug with terrible side effects. Dryness that sucked the life out of you so bad it made your lips bleed, a predisposition to suicidal depression and a -by law- mandate to be on birth control because it deformed a fetus. It was (and still is) pretty bad. Of course, we didn’t know that then. It was a ‘quick fix’ to gorgeous skin. Well, I’ve learned a lot since then. In my 20’s I started researching herbs and essential oils as a means to find something natural. Today, I still research, but certain remedies I found I have continued to use and this is one of them! 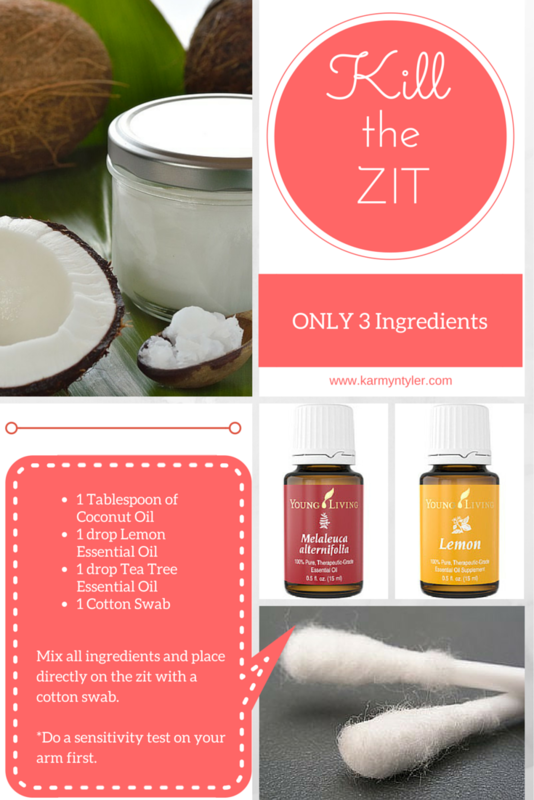 Together, these oils make for a VERY potent serum to fight off evil zits! So stop the war of acne on your body! Don’t Pop – STOP! And KILL THE ZIT! Disclaimer: I recommend that you skin test on your forearm for any allergies.